Property Info: 2 BR , 2 BA, Waterfront Resort Residence, Sleeps up to 6. This Caribe Resort Condominium is located in Orange Beach Alabama on the Gulf Coast, approx. 1 mile from the Florida-Alabama line. 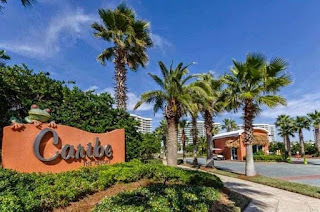 Caribe Condominium is a waterfront community with fantastic water views and convenient access to a variety of activities such as boating, fishing, shopping dining attractions and, of course, miles of white-sand beaches.